It is not only Nordic workers who must develop their skills in order to manage in the future. Nordic labour market authorities must do the same. It is particularly important to adapt re-employment measures to face the new digital reality. The process is underway, but is not at all easy. 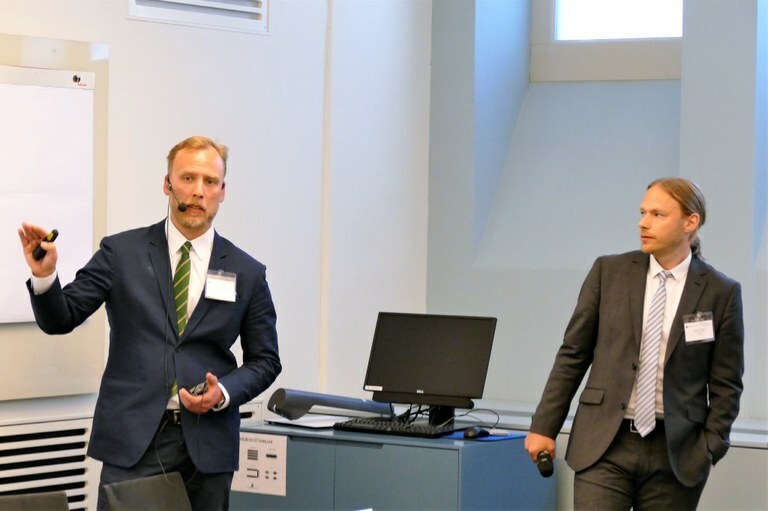 This was the joint message as representatives for public employment offices in Denmark, Sweden and Norway met at a Nordic conference in Stockholm on 15th May 2018, to talk about how Nordic authorities are preparing unemployed citizens and themselves for a labour market which is rapidly changing because of new technology. Norway has initiated major changes aimed at adapting employment measures in order to capitalise on the opportunities that spring up in the wake of digitalisation, and use these in the best possible way to strengthen measures aimed at unemployed citizens, explained Gunn-Elin Åsgren, Project Manager at NAV, The Norwegian Labour and Welfare Administration. “Right now the public administration is going through a fairly comprehensive transformation in order to keep up with this development,” she explained. Peter Truels Nielsen, head of the Danish Agency for Labour Market and Recruitment (STAR), had the same message. He referred to a report from McKinsey, which predicts 40 percent of today’s working tasks could be automated as a result of AI and robotics solutions. He said we are well positioned to equip workers and the labour market to face this new reality, but that it will mean adapting to major changes – also when it comes to job centres’ access to the tasks and concrete ways of working. “We have a good starting point, but when 40 percent can be automated and several hundreds of thousands of people can become surplus to requirements as their jobs are automated, we are standing on a burning platform,” said Peter Truels Nielsen. The Swedish Public Employment Service has also realised that technological developments will change the way authorities work. It has established the JobTech model to look at how technology can be used to secure digital innovation within the employment service, explained Jonas Södergren and Andreas Granström, both developers with JobTech. Jonas Södergren and Andreas Granström from JobTech. “There is a need for a completely new way of accessing how we work, think and exchange services for job seeking citizens. So our work is more data driven, helps citizens build their own future and creates a new infrastructure to the benefit of everyone,” said Jonas Södergren. JobTech already runs several projects on big data and AI – one uses AI to understand the need for skills. STAR in Denmark has used digital solutions to analyse job ads in order to map which skills employers are looking for. STAR has linked that knowledge to what types of jobs people are looking for. Right now STAR is looking into whether that kind of data can be used to qualify the job seeking process, when robots and AI in the future perhaps make current jobs redundant. “It sounds simple, but it isn’t, and you have to be careful when advising people to apply for certain jobs. Many variables should be taken into consideration,” said Peter Truels Nielsen. NAV has also intensified the collection of data and the development of new services for things like analysis, and has been in dialogue with other Scandinavian and European employment services and Norwegian companies to seek inspiration for which technologies are best suited to improve NAV’s work. NAV has for instance used 180 search bots to help them find available jobs, and then advertise them. “We use big data, but it is also smart data, which we give back to other employment service players,” said Gunn-Elin Åsgren. She also pointed to the increased demands for protecting personal data as an important challenge which must be solved. Her Danish and Swedish colleagues agreed.